If modern capitalist economies have one essential industry, it’s retail. With the introduction of credit and debit card technology, another service has been needed: merchant accounts. With so many people turning to credit card processing rather than cash or check, the ability to run the information quickly and securely is vital to both retail profits and customer experience. The broad definition of a merchant account is any bank account that allows its owner to accept card payments of any type. The merchant account provider is very often also the payment processor, and when it’s not, it serves as the intermediary between the different groups involved in the transaction: the retailer, the payment processor or gateway, and the merchant bank. Standard Card Terminal: a one-unit piece of equipment that includes the location for the card to be swiped, a number pad for the customer to enter their pin number or zip code, and an electronic writing pad to accept customer signatures. This system requires integration with the POS systems being used by the retailer and an active connection to a phone or internet line, allowing it to authorize the card and either hold or directly transfer funds from the purchaser's account. While credit card processing is the primary purpose of the standard terminal, it is often also used to access information from gift cards or similar. ARUs (automated response units): credit or debit processing systems used over the phone. Most "pay-by-phone" options consist of an ARU; many standard retailers also use this option. ARUs allow customers to key in their credit card number and other relevant card data, then give voice authorization for the transaction (which is recorded) to complete the purchase. Online Payment Gateways: a web-based payment system, which records the card number, confirms that the account is valid and has funds, and ensures that the data input by the customer meets the security data required to complete the transaction. Most payment gateways are directly integrated with the site's shopping cart. Level 2/3 Processing: a secure form of accepting credit card transactions that lowers the cost for merchants. In addition to taking down the information typically required by law, the merchant account holder may also provide additional data on the transaction that may make the sale more secure and further customer actions simpler (e.g., time and date, transaction number, etc.). This form of card processing is uncommon in standard retail, but frequently found in transactions where security is of paramount importance, such as with government purchases. A merchant account is created by one of several major groups. Dedicated Merchant Account Groups: acting exclusively as middle-men, working between the bank that holds the account, the credit card companies, and you. Bank Merchant Groups: many banks already have the ability to process transactions and have ongoing agreements with the major credit card providers. Independent Organizations: these simply pay fees to merchant processing, banks, and credit card groups to re-sell their services. This group is subject to more federal regulations, but is sometimes able to provide lower than standard rates. 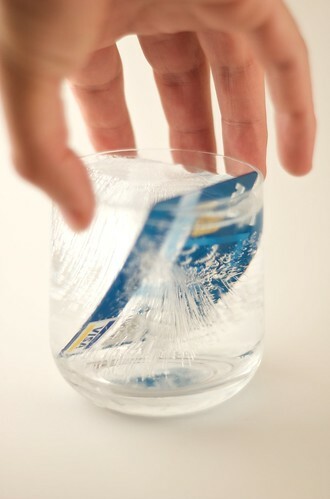 The biggest concern about credit and debit cards is whether their security is sufficient. This is especially important as less time is spent on verifying transactions, and more aspects of the process are automated. Rules for baseline standards have been provided by the U.S. Security Standards Council. This includes having a secure network, a firewall, precautions against hackers or malware, a high degree of protection on stored and active data, encryption, and more. These rules have led retailers to taking greater care with cardholder data. Credit card transactions haven't always been as simple as they are today. As time goes on, merchant accounts are improving their methods and technologies even further, making the entire system faster, more efficient, and more intuitive. BuyerZone is a leading online service provider that connects buyers and suppliers for a range of services and equipment such as credit card processing companies.